The objective of World Health Day this year is food safety. This indicates how hot this topic is among global health and wellness experts. 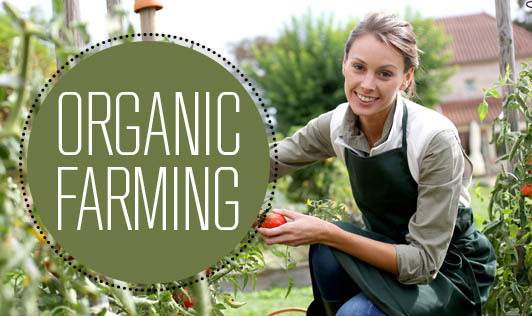 Organic farming has grown out in a big way. This style of growing vegetables and food items involves farming with very minimal or no use of synthetic fertilizers and pesticides. Organic farming products are mostly not sold cross borders and need to be certified by regulatory authorities such as the USDA (United States Department of Agriculture) before being shipped or sold. What is the problem with chemical fertilizer supported foods? Use of synthetic pesticides causes serious threats to our health. When assimilated in the body, these interfere adversely with the nervous and digestive system. These are very disturbing for the ecosystem. Cadmium and arsenic content present in certain non-organic foods can be dangerously high. These are considered very harmful ingredients as they pose serious threats to health. The next time you go grocery shopping do pay close attention to whether the food you buy is organic or fertilizer-grown. Say ‘yes’ to organic food today and be the part of the World Health Day initiative.